THE Mooncake Festival celebrates togetherness so it will be great to have a delicate meal for family and friends to spice up the occasion. With that in mind, the Tai Thong Group of Restaurants has whipped up two set menus featuring duck and seafood delights to make the celebration memorable. 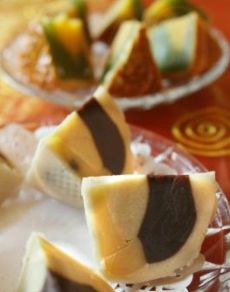 The menus that end with Tai Thong mooncakes are priced at RM588 for 10 persons and RM388 for six. 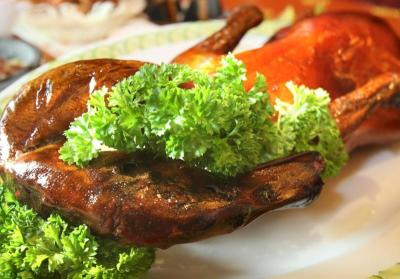 The famous traditional dish, Peking Duck, marks the start for both meals. “Mooncakes and Peking Duck are both traditional goodies and it is a blessing that we can still savour their authenticity until today, hence we highlight the two together,” said group executive chef Lee Wee Hong. Diners will be able to appreciate the crispiness of the duck’s skin wrapped in warm rice crepes. It is an exquisite start to a meal. Braised Assorted Dried Seafood Broth with Shark’s Fin follows next, before Chef’s Signature Soft Shell Crab takes centre stage. Lee explained that the soft shell crab dish was created by chef Jacky Lim who was featured in a TV programme recently. Diners now get to taste what they see on TV. For the fish dish, the menu for 10 features Deep-Fried Atlantic Lumpfish while the six-pax menu serves Deep-Fried Pomfret. Sweet finale: Delicate mooncakes to end the meal on a sweet note. The freshness and firmness of the meat can be appreciated even though the fish is fried. Poached Fresh Prawn Pot with Lettuce, Enoki Mushroom and Beancurd is the dish to look forward to if you are a seafood lover. 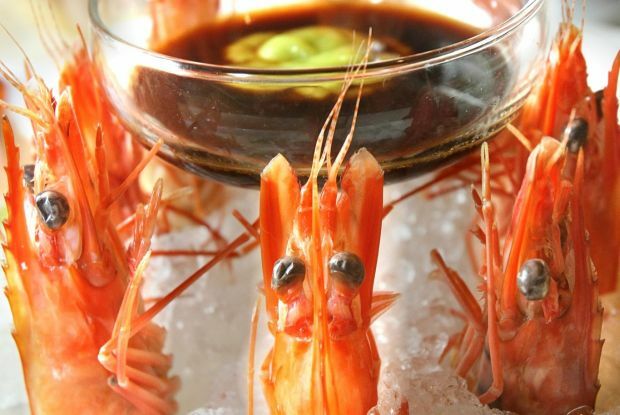 The prawns can be savoured raw in the Japanese style or quickly dipped into the hot pot, making the crunchiness and natural sweetness of the meat very appealing. For some peppery flavour for the taste buds, the Black Pepper/Ginger Onions Sliced Duck Meat was served next. The hearty dish is followed by Fried Multi Grain Rice with Diced Duck Meat, a healthy and tasty option that offers a twist to traditional Chinese meals. The Mid Autumn Festival set menus are available until Sunday. CIMB/ Direct Access credit card holders will receive a box of four mooncakes worth RM60 for free when they order the menu for 10 or a box of two for the menu for six. For reservations at any Tai Thong restaurants, call 1800 882 338 (9.30am to 9.30pm, Monday to Sunday). Juicy goodness: Traditional favourite, Peking Duck to kick start the Mid Autumn meal.